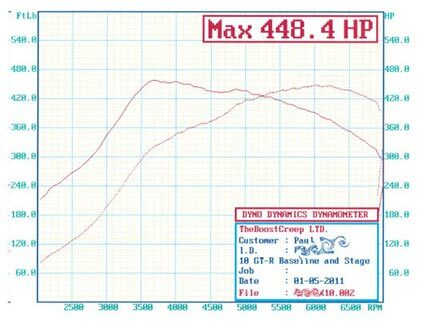 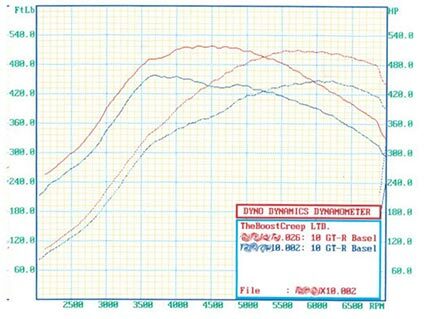 The Boost Creep Ltd uses a Dyno Dynamics AWD load-bearing dynamometer to accurately monitor a wide range of engine data and power output in real time. 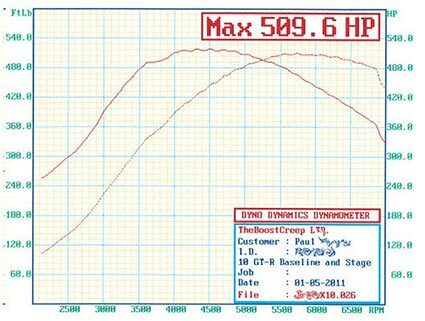 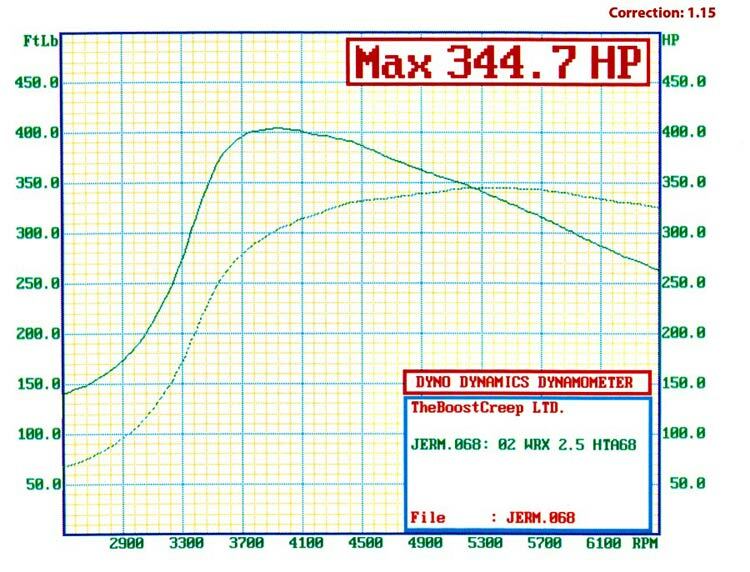 Unless otherwise noted, all dyno charts below represent horsepower and torque numbers at 4,900 feet in elevation and using 1.15 correction factor. 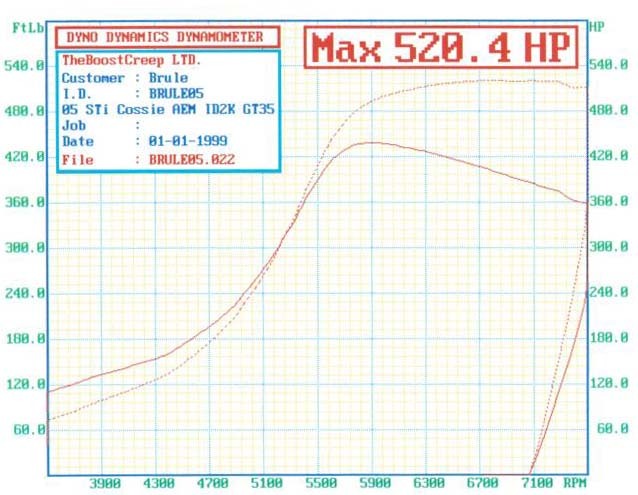 2010 Nissan GT-R: Before and after plots. 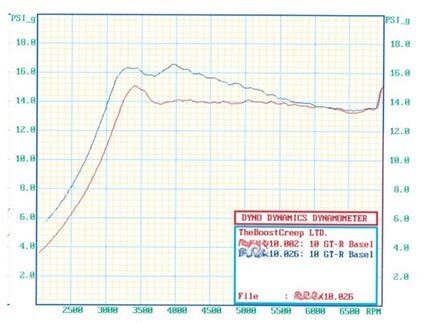 We installed Injector Dynamics 1000cc injectors and tuned with ProTUNER software, allowing the owner to easly switch between gasoline and ethanol fuels using the Cobb AccessPORT. 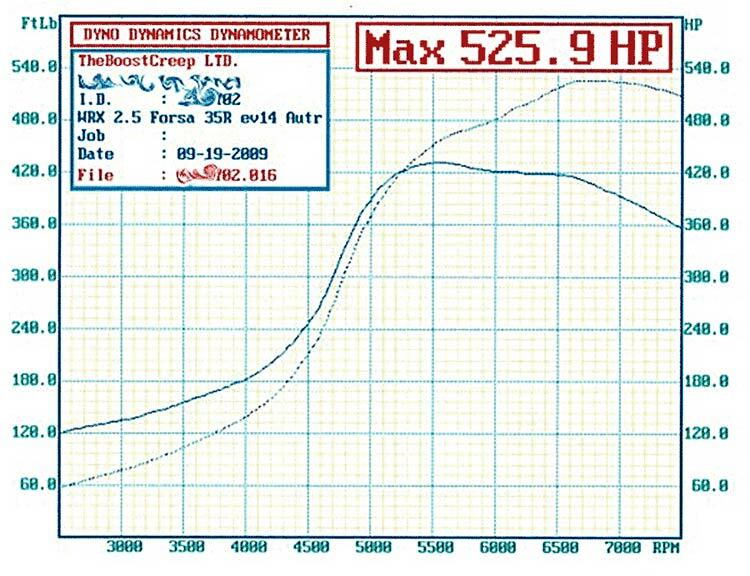 This is the perfect Foundation for future upgrades. 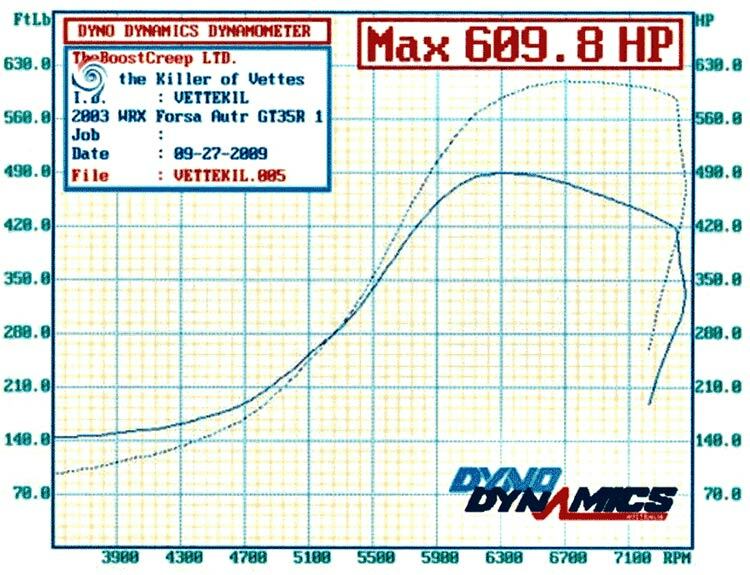 This car laid down some amazing baseline numbers with the usual fifteen percent altitude correction. 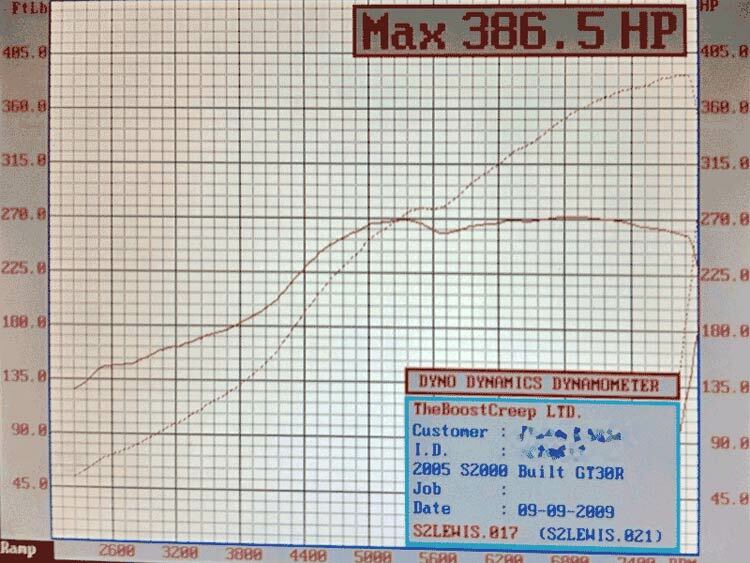 Tony, the owner of Injector Dynamics, in southern Texas, says that bone stock 2010 GT-R models lay down 380-390 uncorrected WHP on his similar chassis dynamometer. 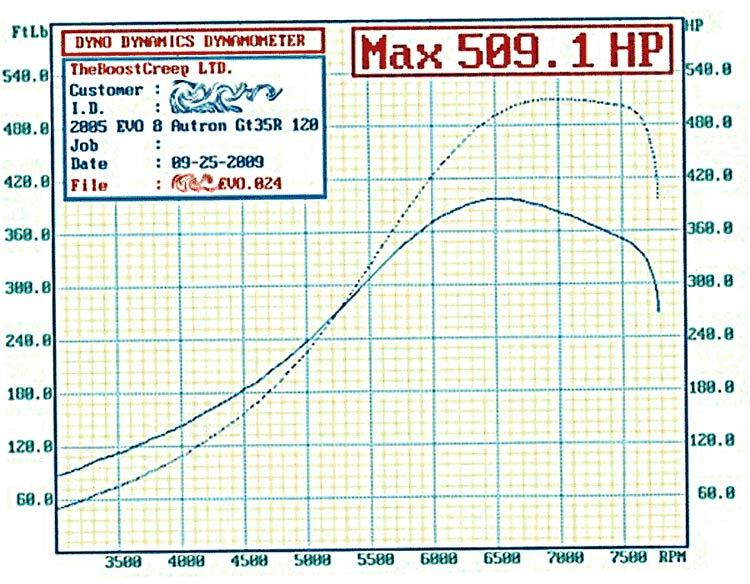 That would indicate that this one lost nothing in terms of horsepower by being up here. 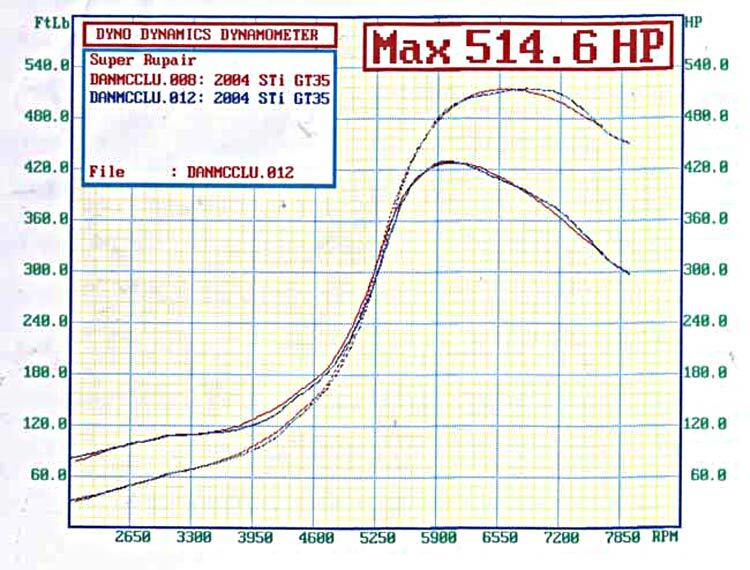 I will use the usual 15% correction factor for consistentcy with other plots.